Capitol Reef State Park was such a refreshing experience after being so hot and dry for the last few weeks. 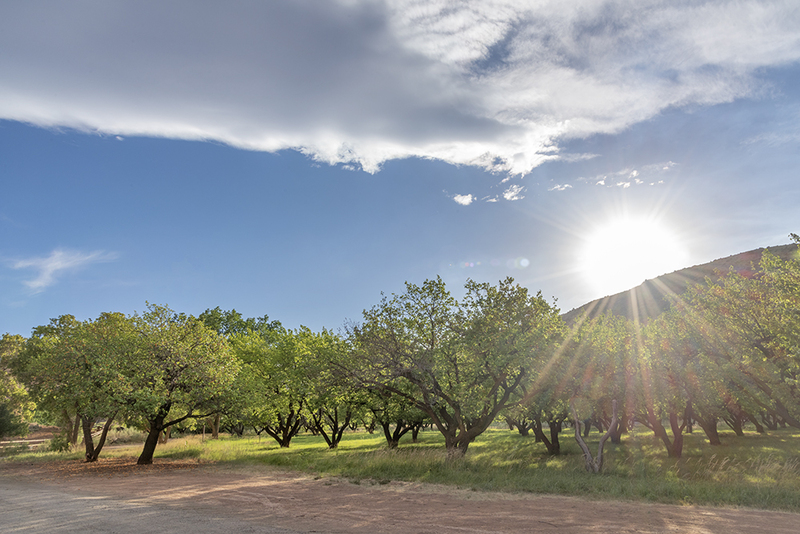 The Fruita enclave, an historic Mormon settlement along the Freemont River, serves as the central area of the park, featuring a Vistor's Center, campground, nature center, and several orchards. 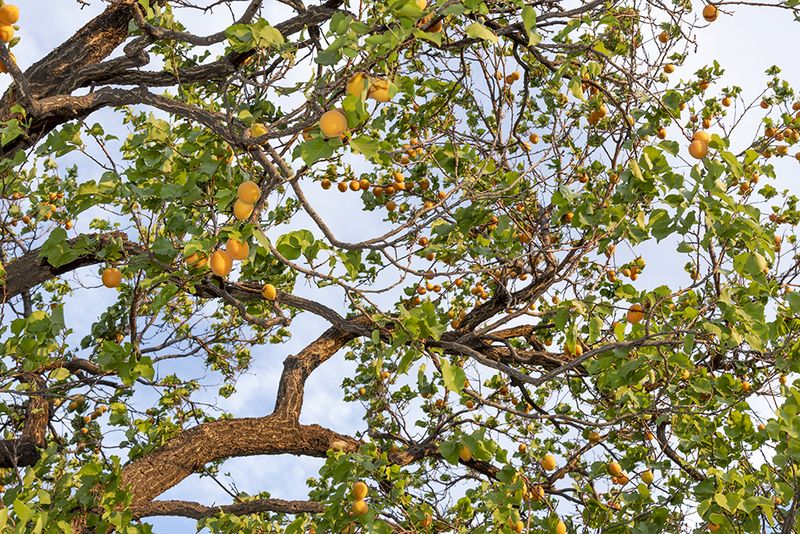 In fact, the orchards are adjacent to the campground, meaning we spent the evening and following morning picking apricots and eating them right off the tree. Wyle makes some new friends. The deer were everywhere, obviously enjoying the fruit as much as we were. Another highlight (THE highlight, depending on who you ask), was the little store that sold freshly baked fruit pies. In the morning we hightailed it the store and everybody bought a pie. Then we sat at the nearby picnic table and had pie for breakfast! And just in case you think Capitol Reef is all about pie, here are some photos of the beautiful landscape. We very much enjoyed the scenic drive, particularly the off-road portion that winds through the gorge, the walls of which tower above you.